Domestic review of foreign direct investment has received increased attention lately on both sides of the Atlantic. Tighter rules for the Committee on Foreign Investment in the United States have been echoed in Germany and further changes are on the way. Recent developments show that the German government does not shy away from blocking foreign investments. 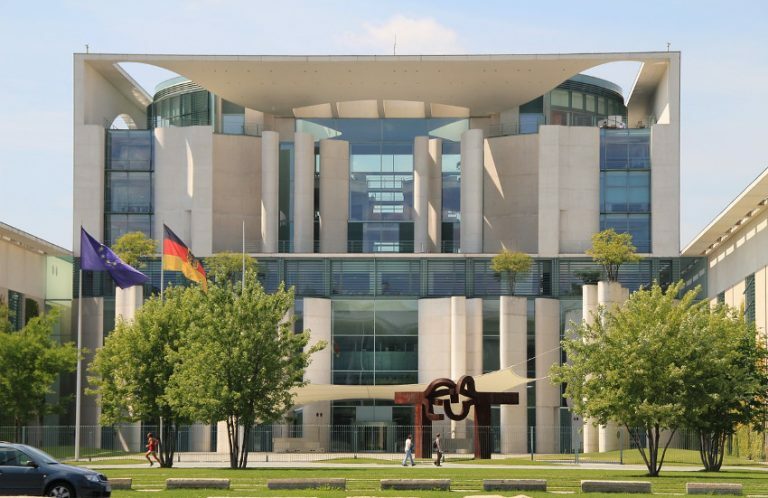 On Aug. 1, the German government for the first time authorized the Federal Ministry of Economy and Energy to block a transaction on national security and public policy grounds. This authorization is the culmination of a development that clearly indicates that the German government is taking a tougher stance on certain foreign investments. Current legislative proposals seek to further tighten the review of foreign investments. The German government’s review in the aforementioned case concerned the planned acquisition by Yantai Taihai of China of Germany’s Leifeld Metal Spinning AG, a manufacturer of equipment that can form high-strength materials. Reportedly, concerns focused on possible uses of such equipment in nuclear industries. As Yantai Taihai terminated its planned acquisition of Leifeld during the review process, the ministry did not need to prohibit the transaction. Just a few days before, the ministry intervened when the Chinese state-owned State Grid Corporation of China attempted to acquire a minority stake of 20 percent in 50Hertz, a German high-voltage transmission grid operator. The ministry could not block this transaction because German foreign investment control regulations cover only acquisitions of a 25 percent or more; thus, a German state-owned bank intervened to acquire the share on behalf of the German government. Germany tightened its foreign investment control regulations in July 2017, introducing longer review periods and notification requirements for investments in certain sectors. Since that time, the ministry has reviewed more than 80 investments, approximately a third of them involving Chinese buyers. The first prominent case under the new regime, the acquisition by a Chinese consortium of Cotesa, a manufacturer of composites for fiber components, was cleared after a six-month review process. However, the ministry has also scrutinized investments by other foreign buyers, including U.S. buyers, and cleared some of them only subject to certain undertakings. Currently, the ministry may only review transactions that include (direct or indirect) acquisitions of 25 percent or more of the voting rights in a German company by a foreign acquirer. An indirect acquisition can include an acquisition of a German target by a German acquirer if 25 percent or more of the voting rights in the German acquirer are held by a foreign shareholder. Further, an indirect acquisition can also constitute an acquisition of a foreign target by a foreign acquirer if the foreign target holds 25 percent or more of the voting rights in a German company. Whether an acquirer is considered a foreigner depends on the sector in which the target is active. Within the German foreign investment review regime there are two sub-regimes. One applies across sectors. Under this subregime, a foreigner is any acquirer that is not a resident in an EU or European Free Trade Association member state. There is also a, more narrow, sector-specific subregime, which mainly applies to military weapons and equipment, and crypto technology. Here, a foreigner is any acquirer not resident in Germany. The ministry may initiate proceedings ex officio. In order to shorten the review process, an acquirer may also apply for a certificate of nonobjection. If the ministry initiates proceedings ex officio, it must decide within three months (after becoming aware/being notified of the conclusion of an agreement) whether to initiate proceedings. If the ministry decides to initiate proceedings, it has an additional four (or in certain cases three) months for the proceeding. If it does not prohibit or clear a transaction before the end of this period, a transaction is deemed cleared. A certificate of nonobjection may be applied for unless the transaction is subject to the sector-specific review regime. Such an application must be granted, or denied, within two months after application. If the application is denied, the ministry will initiate review proceedings for which it has a time period of an additional four months. The ministry must be notified of transactions meeting the above requirements if the target is active in certain industries. The main relevant industries are critical infrastructure and related software, military weapons and equipment, and crypto technology. However, there is no standstill obligation, i.e., a transaction may be consummated without the approval of the ministry. 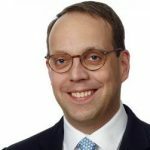 However, there is the risk that the ministry may, with the consent of the German government, prohibit and unwind transactions that have already been consummated. According to a recent legislative proposal, the threshold for reviewing transactions is to be lowered from 25 percent to 15 percent for investments in certain sectors. An amendment to the relevant legislation is expected later this year. At the EU level, the European Commission, at the initiative of Germany, France and Italy, presented a proposal for a new regulation in September 2017 which is currently being discussed in the European Parliament. The main purpose of this proposal is to provide EU member states with a framework for the screening of foreign investments in the EU. Subject to the final outcome of the legislative process, such a regulation may make it easier for member states to prohibit foreign investments because it may allow for a broader interpretation of what may constitute a threat to national security or public policy. This is something member states cannot change at the national level because they must comply with EU law in this respect, in particular the law on the freedom of capital movements and the European Court of Justice’s narrow interpretation to date of the national security and public policy exceptions. The EU proposal provides a nonexhaustive list of criteria member states should consider taking into account when reviewing foreign investments, including a transaction’s effects on critical infrastructure, critical technology, information security, the supply of critical inputs etc. It further suggests that member states should consider whether the foreign investor is controlled by the government of a third country, including through significant funding. The responsible committee of the European Parliament would like to extend that list significantly. For foreign investors considering (direct or indirect) investments in German companies, these developments may have several implications. Investors should consider whether a target is active in a possibly sensitive sector and whether the investment may be subject to a notification requirement. While noncritical investments are still being cleared within the regular two-month review period by the ministry, possibly critical investments may be subject to a lengthy review process. Further, reviews cover more than just investments in industries that traditionally raise national security concerns. The ministry is now interpreting its existing national security standards more broadly. If substantive foreign investment issues can be anticipated, the transaction timetable should allow for sufficient flexibility. Further, in an increasing number of cases the ministry is requiring undertakings from acquirers prior to granting a nonobjection certificate. This should be considered when drafting the transaction documents. The M&A course communicates the basics of a successful implementation of M&A transactions.